Amazon is happy to announce that Alexa, Echo, and the all-new Echo Dot are now available for customers in the UK and Germany. Developers and hardware makers around the world can create Alexa skills for UK and German customers with the Alexa Skills Kit (ASK) today or integrate Alexa into their hardware with the Alexa Voice Service (AVS) starting in early 2017. Popular European brands have already announced they’re building Alexa skills, including JustEat, the BBC, The Guardian, Jamie Oliver, MyTaxi, Hive, Netatmo, National Rail and Deutsche Bahn. There are over 3,000 skills for Alexa in the US, and now developers can extend their experiences to more customers in Europe. 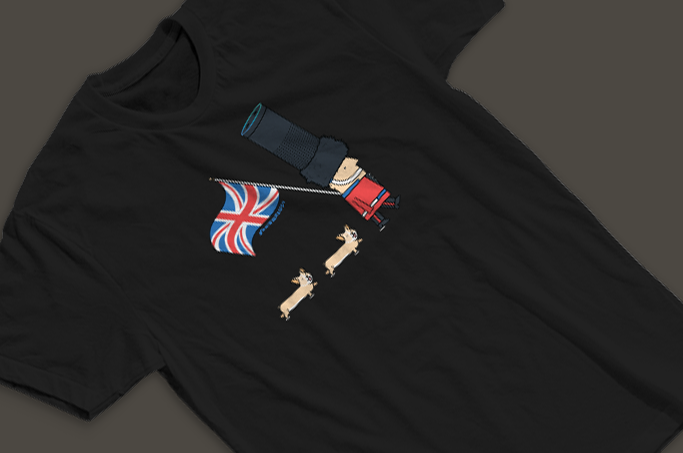 If you publish a skill for the UK or Germany by October 31, 2016, you’ll receive a free, limited edition Alexa t-shirt. Today we also introduced an all-new version of the groundbreaking Echo Dot for under $50, so you can add Alexa to any room in your home. Both Amazon Echo and Echo Dot are voice-controlled speakers designed entirely around your voice—they’re always ready, hands-free, and fast. Alexa is the brain behind Echo and Echo Dot—just ask, and she’ll answer questions, play music, read the news, set timers and alarms, recite your calendar, check sports scores, control lights around your home, and much more. With far-field voice control, Echo and Echo Dot can do all this from across the room. Echo and Echo Dot will start shipping in the UK in the coming weeks. In Germany, Echo and Echo Dot are available by invitation for customers who want to help shape Alexa as she evolves—the devices will start shipping next month. It’s easy to get started. Explore our simple tutorials to learn how to build a skill quickly: trivia, flash cards, instructions, facts, decision tree and game helper. If you want to build a multi-language Alexa skill read our technical documentation to learn how to create a skill in all language models (US English, UK English, and German). If you’re already an Alexa developer, you can enhance your existing skill by extending it to support both UK and DE language models. Join us at an Alexa event or in our webinars and office hours in the coming weeks. These sessions are an opportunity for you to have your questions answered by an Alexa Evangelist or Alexa Solutions Architect. We have scheduled three introductory live webinars. We host ASK the Expert sessions to help answer your questions. Join the next one for live Q&A with an Alexa Evangelist. Every Other Tuesday at 12 p.m. GMT starting October 11th through to the end of the year. Technical staff from the Alexa team will be speaking at a number of upcoming events in the UK and Germany. Come join us to get hands-on training, learn about voice design and meet other local developers. Hello Alexa (London) – October 10 Register with code “HiLondon.” Seats are limited. Hello Alexa (Berlin) – October 6 Register with code “HalloBerlin.” Seats are limited. 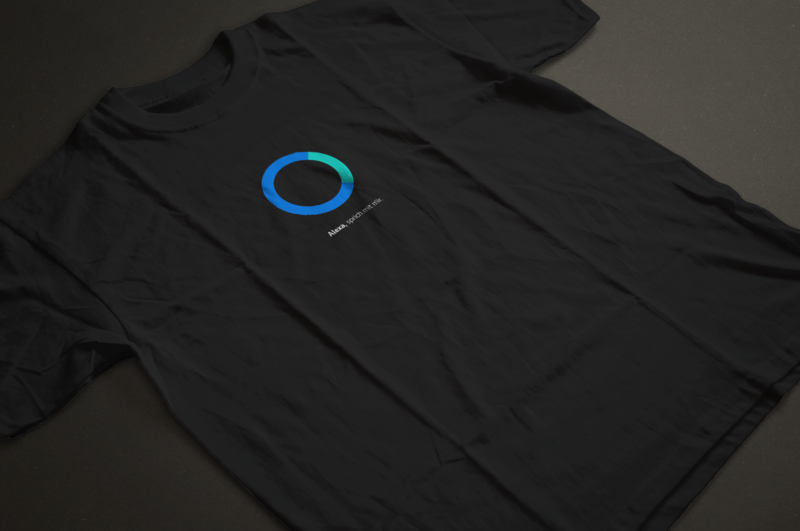 We are offering a free Alexa Dev t-shirt to developers who publish an Alexa skill between September 14, 2016 and October 31, 2016. There are custom, limited edition designs for the UK and Germany. Quantities are limited. See terms and conditions.